Canada is a multicultural country which makes sure that the people mingle with each other and it is very important that such events are fostered. Marathons are a great place to get to know new people and how they can work together. Canadians love sports and it is a part of this enthusiasm that allows the Canadian government and the local authorities to arrange such events for the people. There are many races and sporting events which take place all over Canada and they all are also covered by the international media. The tolerant face of Canada is all that is revealed as a result of these converges and Canada is seen as a sport loving nation. With the passage of time number of people taking place in the marathons which are discussed is increasing. It means that more and more people are taking part in these events. It is because of all these people that the events have gained international recognition. The best part of the events is that it also allows the people to remain fit and away from several diseases. Some of these important events that have changed the course of Canadian sports are listed. Each year this event is held on the first Sunday of May. 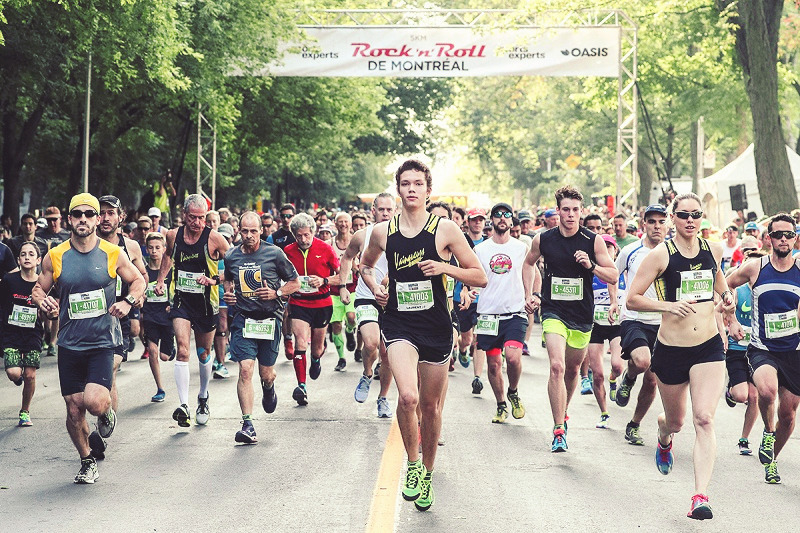 The race was established in 1972 and it is the 2nd largest marathon of Canada with respect to the number of participants. The best part of this race is that people from all over the world take part in this race to make sure that they remain fit and healthy. It is worth mentioning that people that come from all corners of the world also foster the Canadian tourism and therefore it is highly regarded by the government of Canada. After the Boston Marathon incident the security is all beefed up and therefore people can enjoy without any problem and fearlessly. This marathon is not just a race but it makes sure that the best and the most vigilant entertainment stuff is also provided to the people that take part. In 2017 the organizers of this marathon upgraded their focus and now the people that don’t want to take part in this event can enjoy stuff like music and other entertainment opportunities. This is also important to mention that every year more and more people are taking part in the event which simply shows that it is the best racing event in Canada. This event started in 1998. A large number of sponsors of the event makes sure that this becomes one of the best and the most rated marathon of Canada. The other good part of this event is that it allows the people from all over the world to enjoy the culture of Canada which has been established by the immigrants. It is for the same reason that you can see every race, color, and person in the event which makes it one of the best marathon races in Canada. The event started in 1975.